The Airport Authority of India (AAI) has decided to issue tax-free bonds worth Rs 1,000 crore in the current financial year to finance development of small airports. 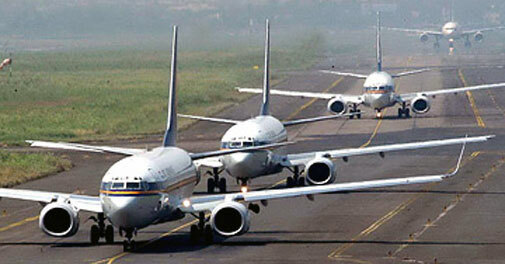 The government had last week decided to set up the 51 airports to enhance air connectivity to small cities in Andhra Pradesh, Jharkhand, Bihar, Punjab, Uttar Pradesh, Assam, Arunachal Pradesh, Madhya Pradesh, Rajasthan and Maharashtra. Those investing in these bonds, which normally have a long-term maturity plan like a decade, would get tax benefits. Since AAI is a mini ratna, a Government owned company, there is some sort of an implicit guarantee that the government will honor AAI’s bondholders. But the decision of whether to invest in this issue will be driven mainly by how much interest rate they can offer subject the G-Sec rates of equivalent term. At around 7.5% – the tax free rate will be definitely lower than rates offered by bank fixed deposits, but then of course those aren’t tax free. If you invest in FDs of higher rate of interest, the post tax return is likely to be less than tax free bond rate.